SEE HOW MUCH YOUR PROPERTY IS WORTH INSTANTLY! Mission Beach is one of the most popular beaches in San Diego County. Located just south of Pacific Beach next to the world famous Sea World, Mission Beach offers a little something for everyone. Included as part of this community are the neighborhoods of Crown Point and Fiesta Island. 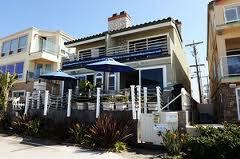 Mission Beach property consists of single family detached homes, townhomes, condos and apartments. All can be found within stones throw from the sand and water. Property prices range from $150,000 from condos and townhomes to $2,000,000 for beach front and ocean view property. This property is always in demand from investors to people looking to make this beach town their home. One of many great attractions is Mission Bay Park. Mission Bay Park is the largest man-made aquatic park in the country, consisting of 4,235 acres, approximately 46% land and 54% water. The park offers a wide range of recreational activities including paths for walking and jogging, and playgrounds for children. It is one of San Diego's most popular locations to fly a kite, picnic or sail a model yacht. Fire rings make it possible to cook out and stay warm. The park also offers a variety of free opportunities to the public such as professional volleyball and Over-the-Line sporting events. What were sales like in Mission Beach for 2014? There were a total of 16 detached houses sold at average sales price of $1,200,000. What do you get for that price - you get a 2 bedroom, 2 bath 1300 sq. ft. home on the beach or just a few block away. Not bad for a home in one of the nicest places in all of San Diego County. There were 34 condos/town homes sold at average price of $1,300,000. Most of these properties are located right on the boardwalk with unobstructed views of the ocean.